Blog » Health » Bye Bye Belly Bloat! Drinking water releases stored cellular fluid and this means a flatter tummy! When we are mildly dehydrated, the body is crying out for water. Your body neeeeds that water for every single process in the human body..so it holds onto it because it does not know when it will have enough again. Drinking water will quickly restore your flat belly look if you haven’t been drinking your H20. Drink a minimum of half your body weight in ounces. If you weight 120 lbs, drink a minimum of 60 ounces daily. Artificially sweetened products from chewing gum, diet sodas, and candies to protein bars, contain sugar substitutes, sugar alcohols or even natural products that can create excess gas (and even severe gastrointestinal distress). One healthy exception (that, in excess, has a slight potential of creating digestive issues): the sugar alcohol Xylitol (pronounced: Zi-Li-Tol). Xylitol is healthy for you as it has a minimal effect on blood sugar and none on insulin level <- One key to optimal health for everyone. 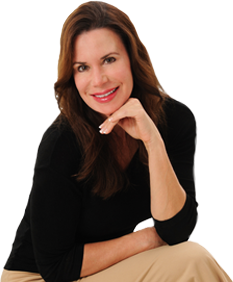 Lori Shemek, PhD, Health and weight loss expert, is the best-selling author of ‘Fire-Up Your Fat Burn!.